Science Essentials Elementary Level gives classroom teachers and science specialists a dynamic and progressive way to meet curriculum standards and competencies. Science Essentials are also available from Jossey-Bass publishers at the Middle School and High School Levels. 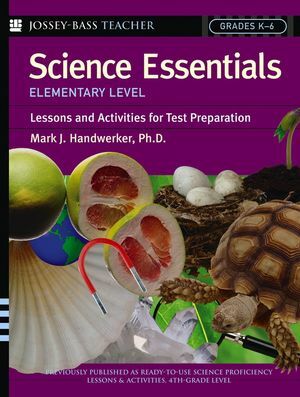 Mark J. Handwerker, Ph.D. has taught science in the Los Angeles and Temecula Valley Unified School Districts. As a mentor and instructional support teacher, he has also trained scores of new teachers in the "art" of teaching science. Dr. Handwerker is the author/editor of articles in several scientific fields and the coauthor of an earth science textbook currently in use.